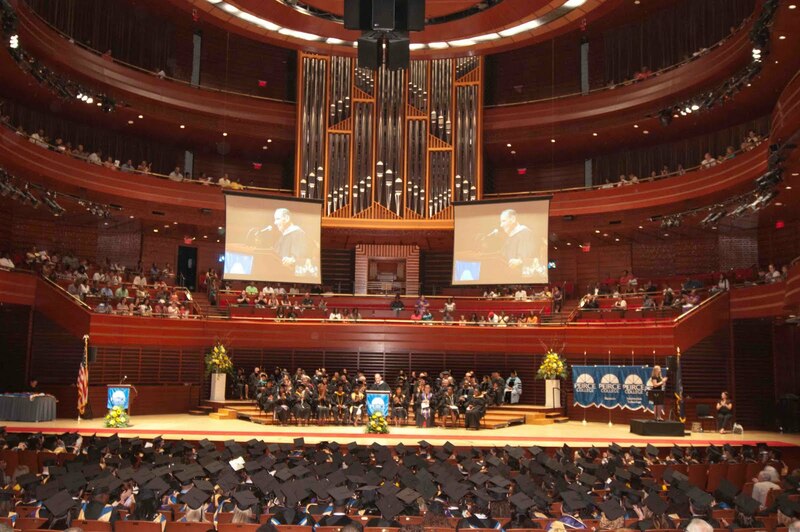 There is a tradition at Peirce in which the College’s President addresses the graduates in a private session a few minutes before their commencement ceremony begins. This year and last year, I conveyed the same messages. First and foremost, I reminded the graduates that they had earned it and it was their night to bask in the glow of their successes. Typical Peirce graduates are people who have placed the needs of others before theirs. They postponed pursuing their educational goals to support others. The commencement ceremony is their time to finally feel fulfilled and receive recognition for their sacrifices and hard work. Secondly, I asked them to be responsive to the keynote and student speakers and the national anthem singer. It takes courage to stand up and speak or perform in front of a large crowd, and I had no doubt they would show support to their fellow graduates. Thirdly, I requested that they bring the same energy and enthusiasm that they applied to their education endeavors to the ceremony, especially when we pay tribute to their families and friends. We also talked about their continuing relationship with Peirce. Their time as students is just the first phase in a lifelong relationship with Peirce. I tell the bachelor’s degree graduates that Peirce will provide lifelong continuing education and career support. I tell the associate degree graduates that this is just step one, and they are now Peirce bachelor’s degree candidates. The last thing we have done the past two years is quote the Black Eyed Peas and say that we’ve “got a feeling that tonight’s gonna be a good night!” With these parting words, the graduates line up to process into Verizon Hall for their big moment! 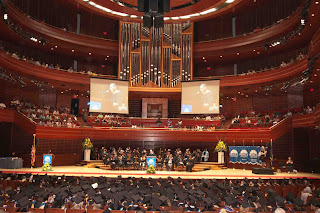 The 2011 Peirce Commencement ceremony was outstanding. Morraye Berrios, a member of the class of 2011, started the event with a phenomenal rendition of the national anthem. The keynote speaker, Charisse Lillie, connected extremely well with the audience and the student speaker, Shandai Moore-Jenkins, represented the class perfectly. Most notably, the students brought the excitement that we talked about. It came naturally to them. In most cases, this was their moment, their time to feel the exuberance that can only be felt when goals are achieved with hard work and determination. While most commencement ceremonies end with the school’s alma mater, Peirce always concludes with a song that personifies the graduating class. So, after the degrees were conferred, the ceremony was capped off with the playing of McFadden and Whitehead’s “Ain’t No Stoppin’ Us Now” while the graduates and their loved ones sang and danced their way out of Verizon Hall. It gave you the undeniable feeling that yes, the night was in fact a good night. Congratulations graduates! I’m proud to have been a part of your time at Peirce. And I know this isn’t a “goodbye,” but a “see you later.” Best of luck in all of your endeavors!